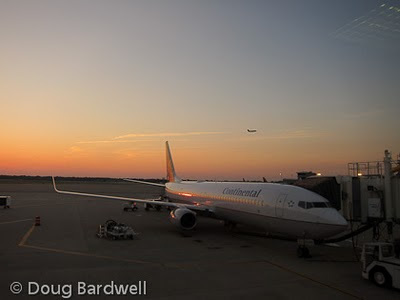 The Traveling Tripod: Yet another airline fee? Yes, another fee to add to your already skyrocketing airline cost of travel. But wait; maybe you’ll like this one. In a first for the airline industry, Continental Airlines introduced another booking fee today. Actually, it’s a fee to lock in your ticket price for three to seven days without a commitment to purchase the ticket. This new airline fee is called FareLock, and it’s available for those booking reservations online at continental.com. For $5 you can ask to hold the price for your ticket for 3 days, or, for up to $9, they will hold the price for seven days. You also have the option to let the order expire at the duration of the time selected, or if you select the “auto-ticket” option, the order will be filled if you don’t get back and cancel it. "FareLock is an innovative option for customers who need extra time to plan their travel before purchasing a ticket," said Chris Amenechi, managing director of merchandising. "This new option is another way that Continental is giving our customers more choices and more control over their travel experience." According to their press release, the FareLock option is available on “certain” domestic and international itineraries. Time will tell how much of their ticket inventory will be affected by this new offering. Checking on fares from Cleveland to New York, I noticed that the option failed to show up on any flight I checked. Talking with Continental’s service desk, it appears they are not turning the option on until tomorrow, Dec. 15. How many add-on fees can an airline charge?